It’s a good word: sedentary. Too many of us can use it to describe the way we live, because it means “sitting a lot”. We sit at work, staring at a screen. Then we sit at home, staring at more screens. Millions of people lead sedentary lives and it’s not good for their health. Too much sitting weakens the body in all sorts of ways. It weakens muscles, thins bones and makes us put on weight. You could also say it’s a betrayal of our heritage. Human beings were born to walk. When we’re adults We do it so easily that we forget what an amazing feat it is. 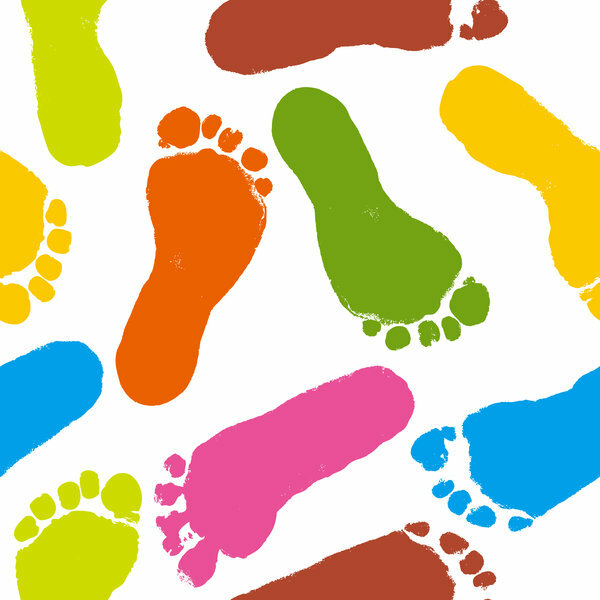 It’s more than just balancing the entire body on the relatively tiny soles of our feet. We have to lose our balance to start moving, then regain it, then lose it, over and over again. Running and dancing are like the cherry on the cake: walking comes first and has done for millions of years. Walking, language and bare skin are the three big things that separate us from our close relatives, the chimpanzees and gorillas. They can move on just two legs, but they do so clumsily and when they want to move at speed, they go down on all fours. Human beings start on all fours too, crawling as babies. Learning to walk is one of the great rites of passage in a human being’s life. When you watch a child taking its first steps, you realize how difficult it is. Learning to walk is like learning to talk: it takes a lot of practice and it’s a long time before a child gets it right. But we’re obviously born to do both. Walking and talking are in our genes, coded into the DNA of a fertilized human egg right from the beginning. The egg is much smaller than an acorn, but human beings behave in much more complex ways than oak trees. Walking is at the heart of our identity and our culture. It freed our hands for other things, so you could say that all great human achievements, from cave-paintings to moon rockets, rest on our feet. We often overlook this, but we’re reminded of it by something that’s very simple, but also very powerful: a footprint. A footprint is a sign that a human being has passed this way. No real trace of that human being is left: no blood or bone, no skin or hair. But the footprint is proof that they were there and that they really were human. That’s why one of the most exciting archaeological discoveries of all time was a simple set of marks in volcanic rock in Kenya dating from 3.6 million years ago. They were the footprints of two adults and a child, walking upright across the ash thrown out by a nearby volcano. Almost certainly their bones are now long gone, crumbled to dust during the huge stretch of time that separates their day from ours. They are gone, swallowed by time, and we have no idea of what eventually happened to them. But by the merest chance a very potent symbol of their humanity has remained: footprints that prove they walked upright and looked at the world like we do.